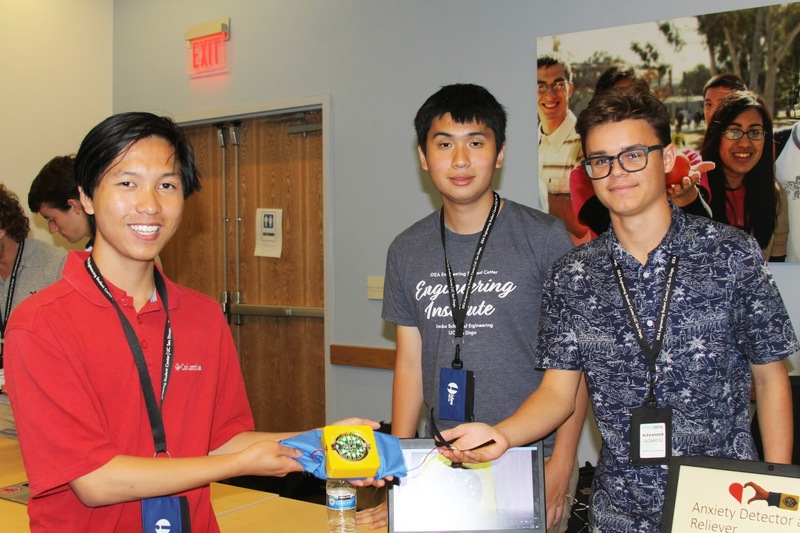 More than 100 incoming freshman participated in the five-week residential Summer Engineering Instititue at the Jacobs School of Engineering this summer. 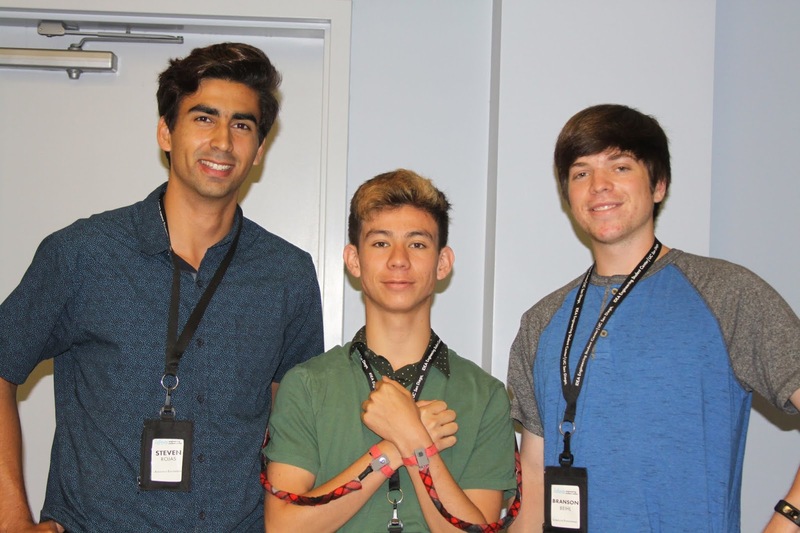 The students took courses that count toward their degree, received support in transitioning from high school to college-level curriculum, familiarized themselves with the UC San Diego campus, and made friends, all in short order. The second part of the Institute, run by the IDEA Engineering Student Center, included designing a hands-on final project in teams. 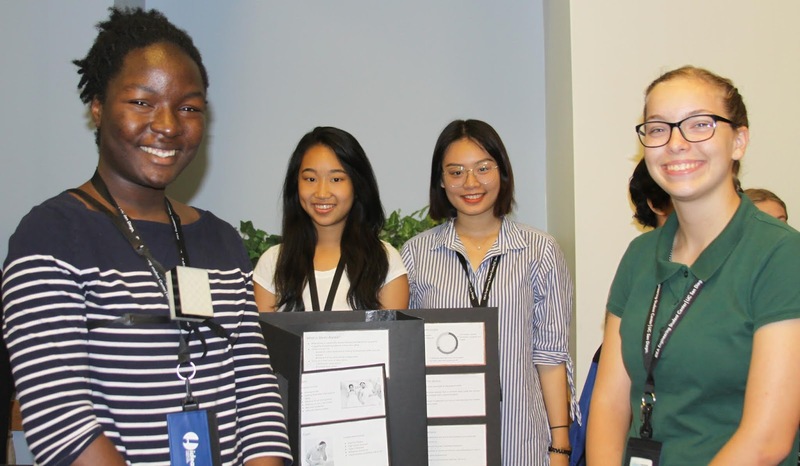 The students demonstrated their projects to family, friends and peers at a closing ceremony on Sept. 7. 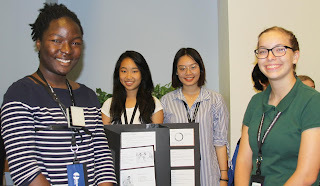 Here are just a few samples of the projects the incoming freshman students were able to conceptualize, design and build in less than three weeks. The sleep apnea tracker uses an accelerometer inside a small case worn around the chest to monitor the user's breathing. If motion exceeds a certain threshold, it registers as breath. If no breath is taken within a 10 second period, the device alarms and buzzes, waking the user and alerting them that they stopped breathing normally. Microphones attached to small wrist and back straps monitor noise, and buzz when they register noise over a set level. This lets the user know that they need to pay attention in the direction of the buzz. The system is useful for anyone hard of hearing, or for those listening to music or wearing headphones who may not hear ambient sounds they need to react to. 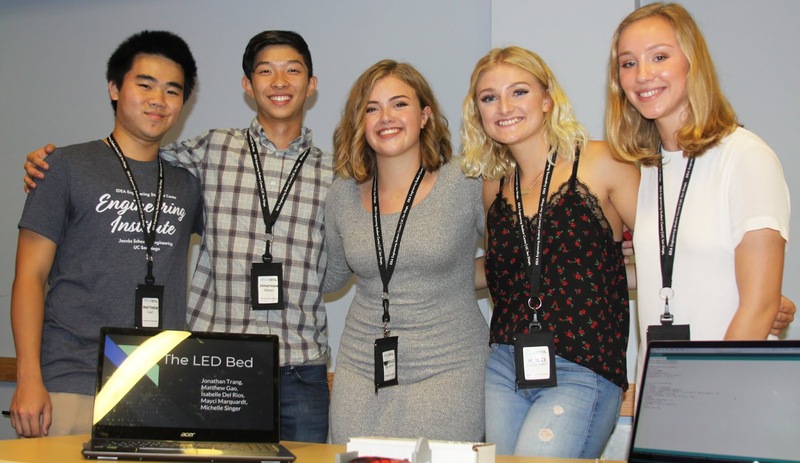 The LED Bed is a night light that shines from under the user's bed, triggered by a pressure sensor. Instead of disturbing roommates or children by plugging in and turning on lights, this night light knows when the user is in or out of bed based on weight. It can be timed to go on for a certain number of minutes-- if the user gets up to go to the bathroom at night, for example, it will stay lit for 10 minutes, and automatically turn off after that. A light sensor in the Arduino will shut off the device during the day. The guitar tuner listens for the selected frequency, and LED lights glow the indicated color when the correct frequency is detected. 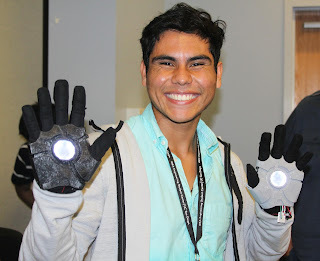 These students built two glowing Iron Man hands and a face mask as part of a do-it-yourself kit. The 3D-printed components have accelerometers inside, so the embedded lights glow when the hands or face move. 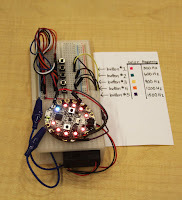 Buttons-- programmable in Python-- allow for different pulses and colors of light to shoot from the hands and eyes. The students created this kit to be a hands-on activity to help children engage with engineering principles. This wearable device monitors the user's heart rate, calibrating to his or her average beats per minute. The LED lights glow red if the heartbeat exceeds a certain threshold, since elevated heart rate is one sign of anxiety. The lights on the device then blink in time with a slower breathing pattern-- the user tries to sync their breath with the lights to calm down. The device turns green when they've returned to their normal heart rate.